Bench Cushion, Throw Pillows, Valance Mixing and matching fabric is the perfect way to create a cozy yet elegant bedroom reading nook. By adding a contrasting valance to the front of the cornice, the look softens but does not become too fussy. Add a comfy bench cushion and matching throw pillows to complete the look. 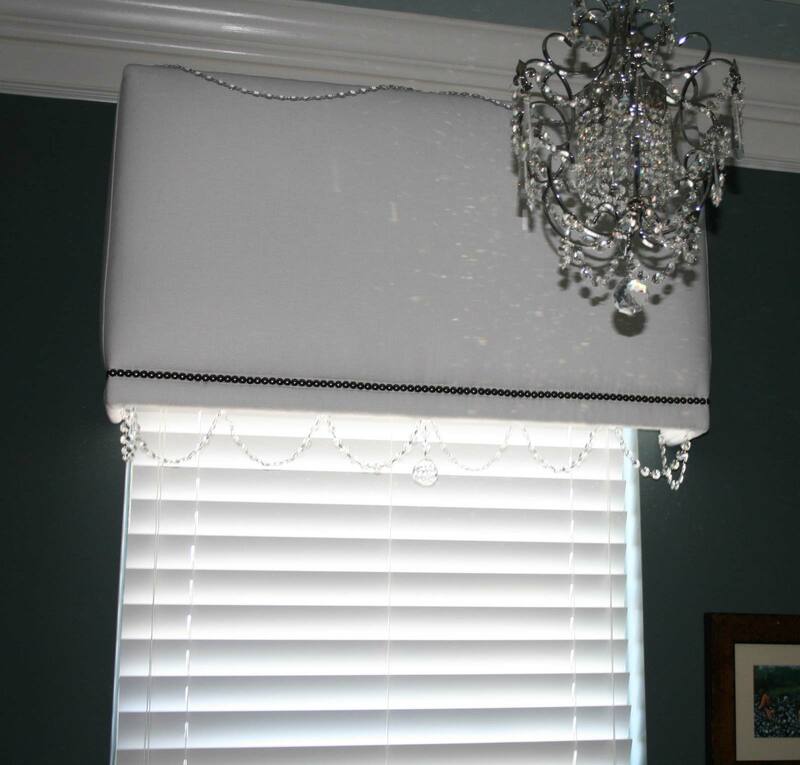 Blinds and Custom Cornice Add crystals to create a striking window treatment fit for a king. A touch of sparkle on the custom cornice will match your stunning chandelier and give the entire room a glow. Elegant without being overdone, this tailored window treatment and wooden blinds will not compete with the rest of the room's furnishings, but enhance them. Contrast Cornice Like the perfect picture frame for your favorite painting, this cornice uses contrasting colors to accent your windows and draw your eye around the room. Understated, yet a perfect way to add both color and drama to a more casual and contemporary look. Highlight your view and let warm, natural sunlight in. 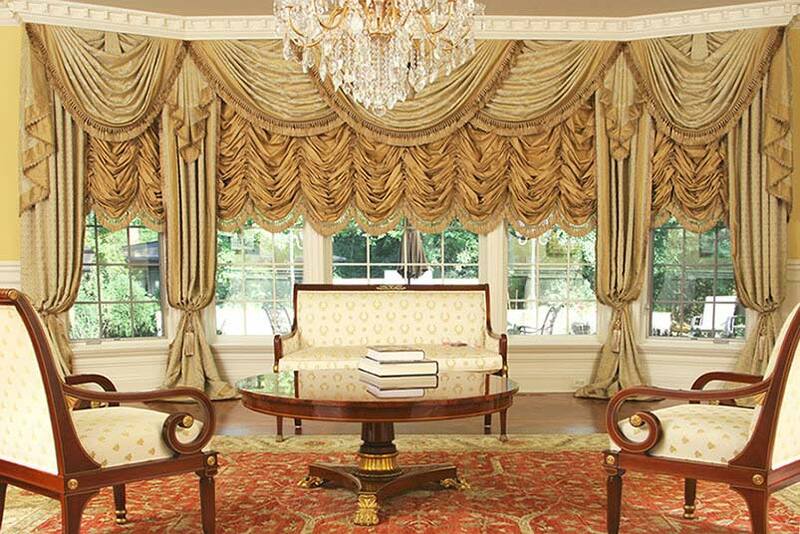 Custom Drapes and Cornice Give your living room a “wow” factor with these custom drapes and cornices. By using fabric which matches the wall color, the drapery will blend with the feel of the room and help your furniture to “pop”. 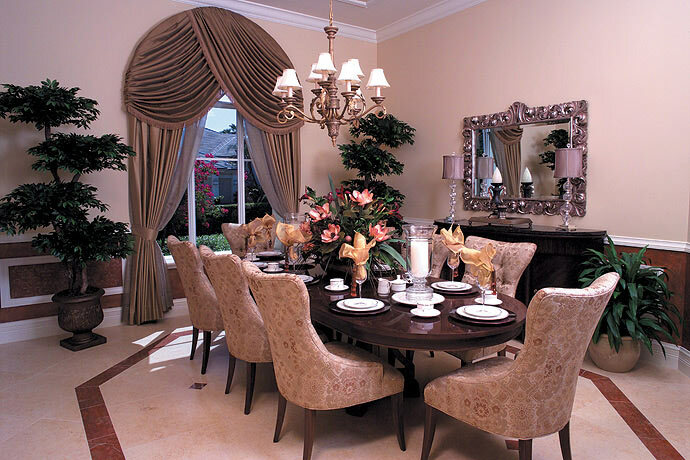 The cornices can be custom designed to any shape or style, from contemporary to formal. 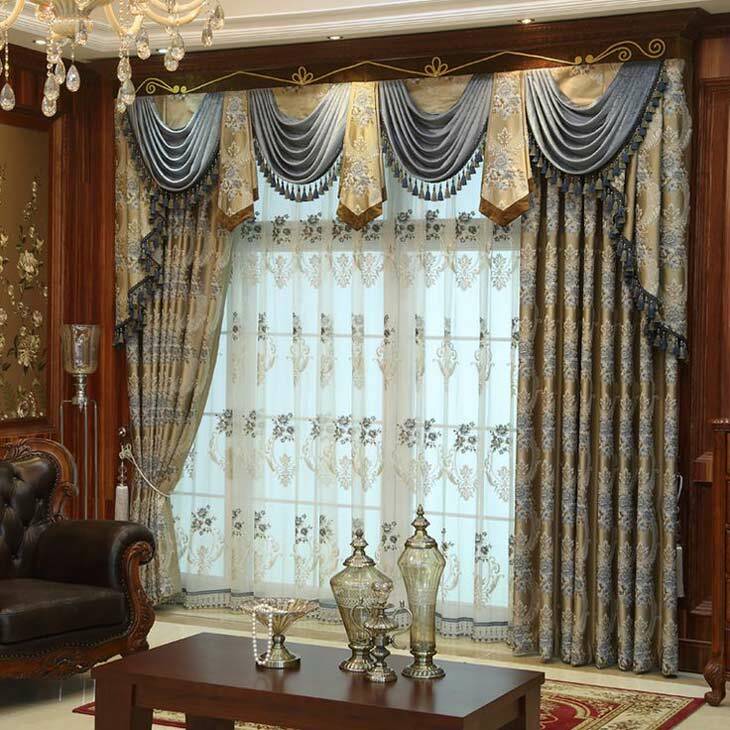 Luxury Curtains, Austrian Shades Give your home the luxurious feel of Versailles with these lush and elegant curtains with matching Austrian shades. Perfect for the bow window in your front sitting room, these shades can be raised and lowered to give you the privacy you desire and the sunlight you need to highlight your Louis XIV furniture. 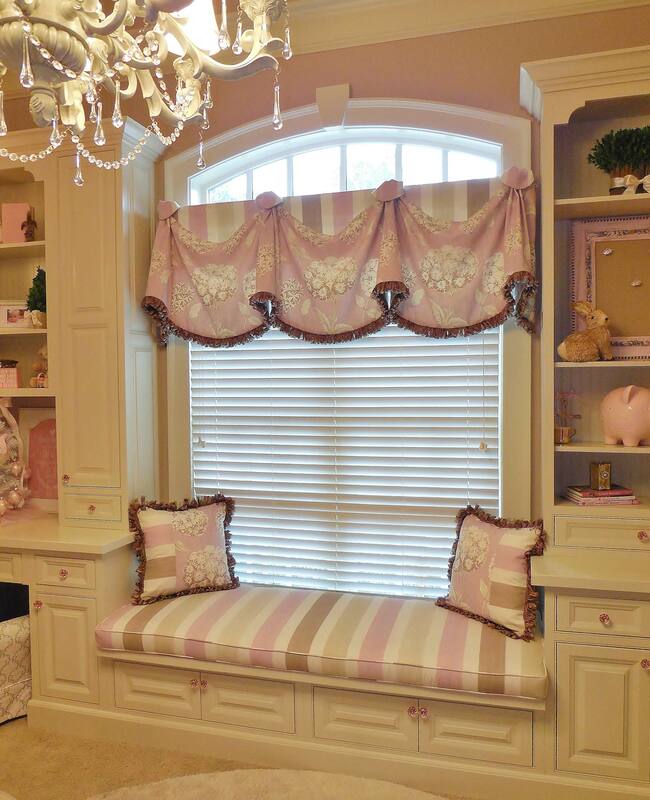 Swags, Jabot, Roman Shades, Tassels Perfect for a very grand and formal living room or parlor, this window treatment includes swags, jabots, Roman shades, and more. The luxurious draperies pool on the floor, giving the room an elegant look and feel. This treatment works best in rooms filled with antique furniture, crown molding, and ceiling medallions. 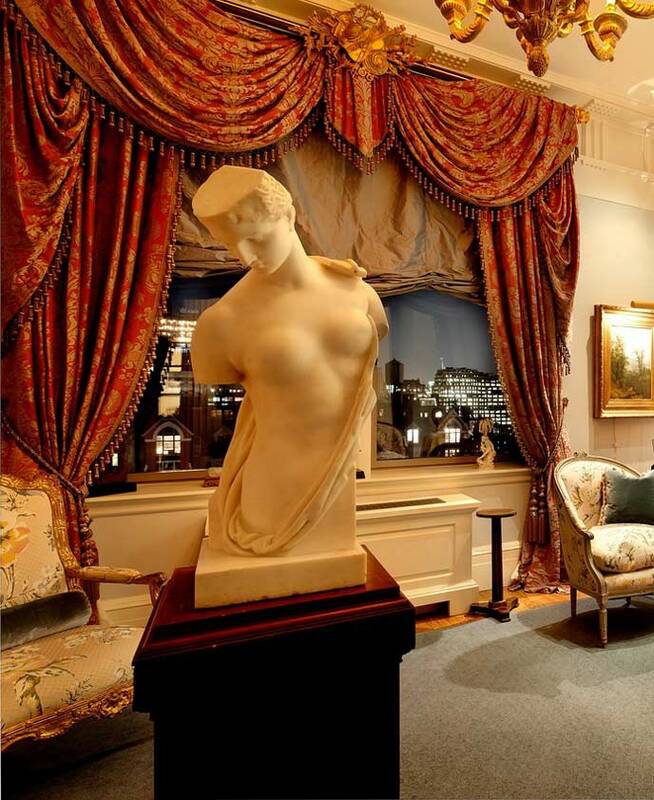 Swags, Jabot, Sheer Curtain Drapes Step back in time to the Victorian era with these gracious and elegant window treatments. The sheer curtains across the center of the window allow light in while still ensuring your privacy. 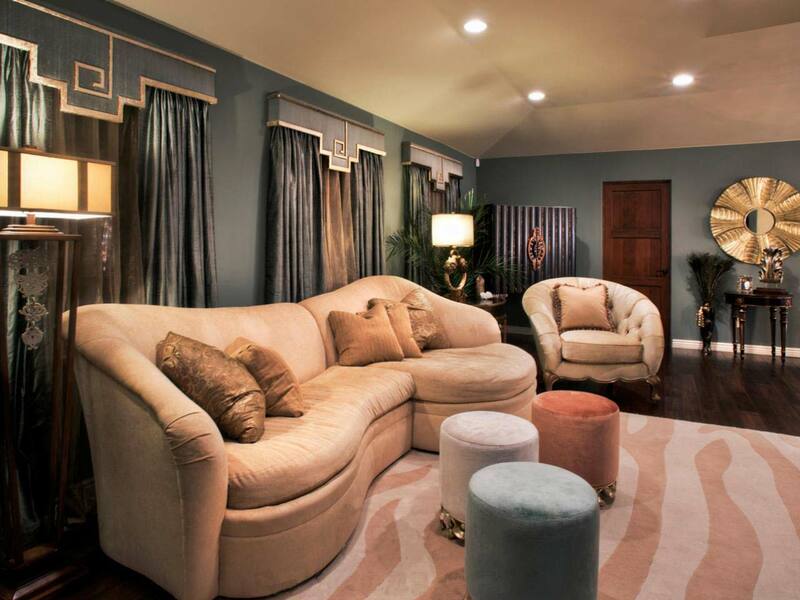 Contrasting fabric will highlight the swags and jabots and add a touch of color and drama to your living room. Top Treatment, Angled Window Not sure how to treat your angled window? Don't completely cover it – highlight its uniqueness with a graceful swag and floor length drapery. This will allow the natural light to shine through without sacrificing privacy and design. 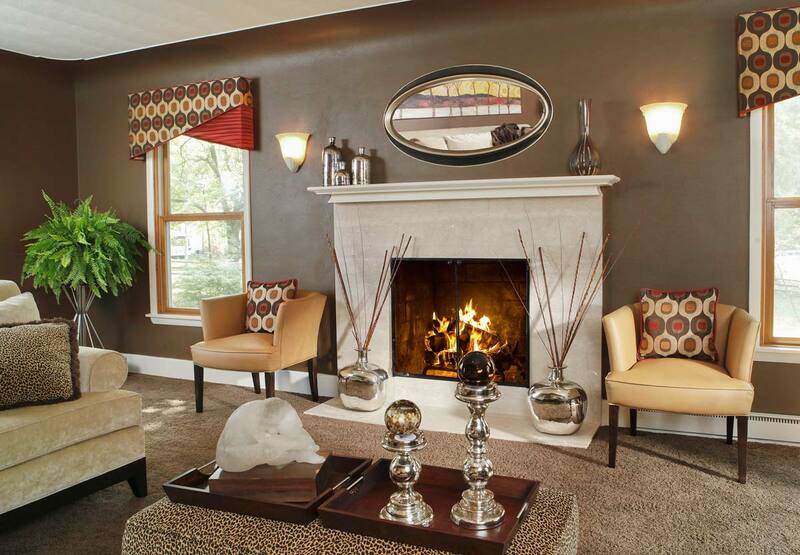 Choose both a solid color and a bold pattern to create drama and elegance. Top Treatment, Curved Window The perfect way to showcase the graceful curved windows in your dining room or living room, this top treatment follows the lines of the arch and the side drapes glide effortlessly to the floor. Simple yet elegant, this window treatment is tied back and gathered in tantalizing folds, yet doesn't overwhelm the room.